Yesterday I bemoaned that Goat Simulator was just a game jam game that probably won't be publicly available. Today I return with more footage that makes that reality all the more painful. Ibrisagic's responses to people on Twitter inquiring about the game also hint at a possible playable build for the public at some point—we'll keep you updated on what happens. 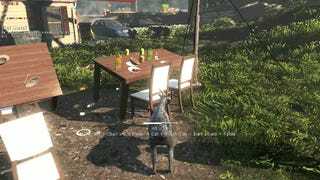 For now, though, there don't seem to be concrete plans for Goat Simulator—and we'll have to settle for watching this footage.